Fly through the water on a lake surrounded by the Atlas Mountains. Travel just 30 minutes from Marrakech to scenic Lake Takerkoust. 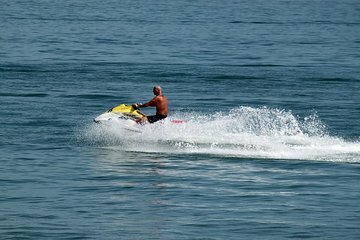 Meet your trained instructors, choose your equipment, and get comfortable on your jet ski. Cruise around the lake and take in stunning mountain views. If you wish, go for a swim in a private pool and enjoy a meal at the on-site restaurant.